I had some extra cookies, some extra icing and some extra time. Perfect right? 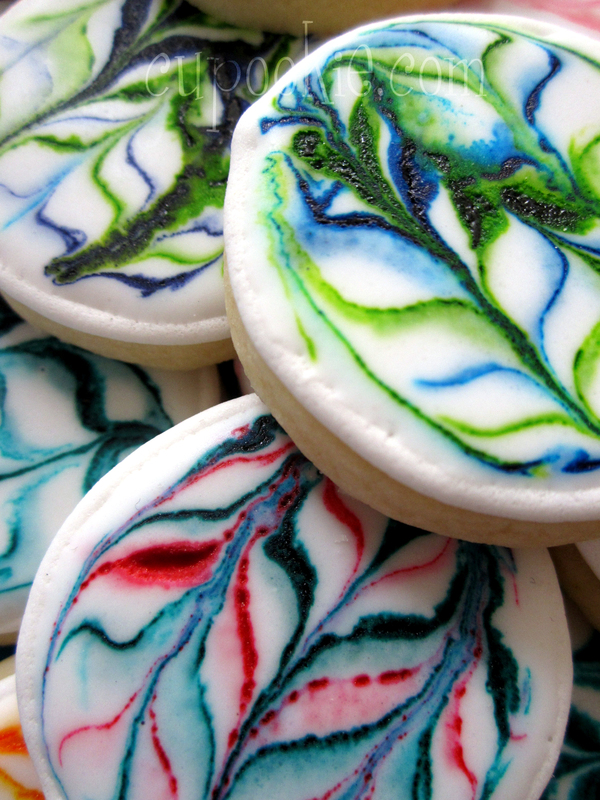 Well I thought to myself "what would be an easy way to decorate some cookies without making up a bunch of colored icing" So I flooded some cookies with white then dipped my toothpick right into the food coloring and went to town. Wet-on-wet results in some beautiful designs. It really resembles a watercolor painting look to me. I used to watercolor in high school and college so it brought back some memories....good ones.